Not valid on holidays Not valid with any other offer. Must present coupon at time of order. Coupon void if altered. Expires 05/06/2019. Take out only. Toppings extra. Not valid on holidays Not valid with any other offer. Must present coupon at time of purchase. Coupon void if altered. Expires 05/06/2019. We are located right on 359 Windsor Highway (Route 32) in New Windsor NY. Capri Restaurant and Pizzeria is located on Windsor Highway in the heart of New Windsor, NY and has been a mainstay in the community for over 24 years. 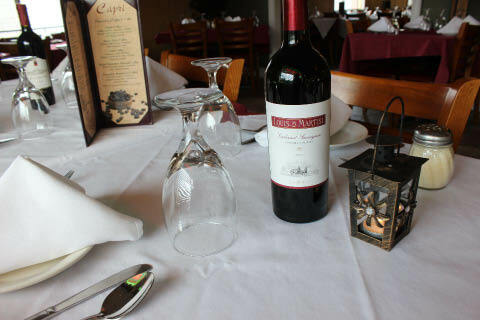 When you dine at Capri you will enjoy real authentic traditional Italian Cuisine and delicious Pizza. Whether you bring your family to relax in our comfortable atmosphere, or are in a hurry and want to take advantage of our take-out service, we at Capri Restaurant will be happy to meet you and cater to your needs.